I was lucky enough to be in Mexico for this holiday and I went with my roommate to visit a museum in downtown Puebla which had a Dia de Los Muertos exhibit. 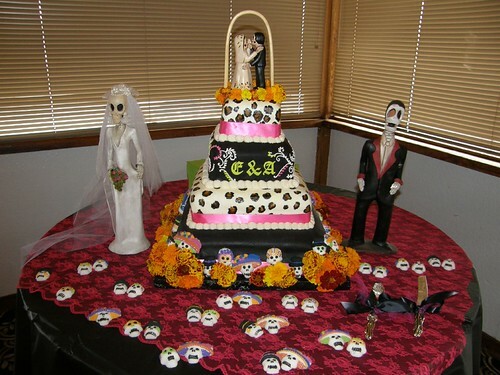 There must have been 70 ofrenda tables and all of them were as unique as they were elaborate. Knowing that these ofrendas were for real people made the exhibit that much more interesting. It was pretty awesome to see such a personal celebration in public. 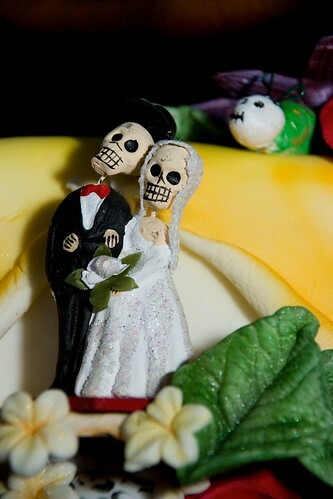 This fascination with Dia de Los Muertos is not only in Mexico. 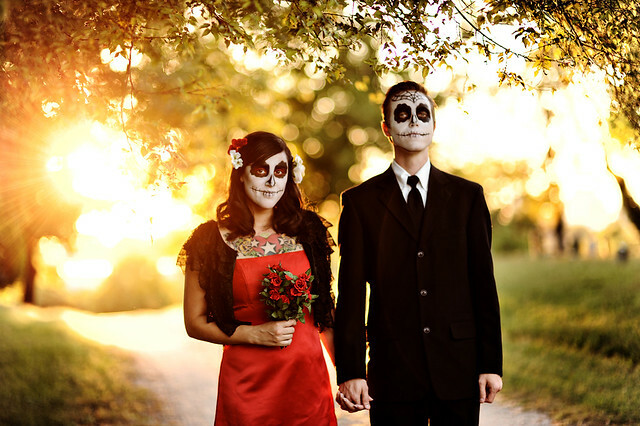 Many couples are using this theme for their weddings that fall around November 1st. 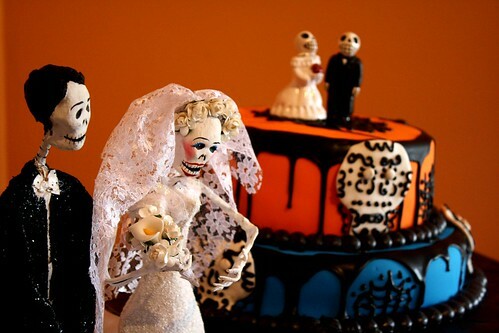 Here are a few photos of the theme tied into weddings from real couples. Enjoy!